Specific, often unbalanced diets are used to circumvent the metabolic defects of patients with monogenic inborn errors of metabolism. 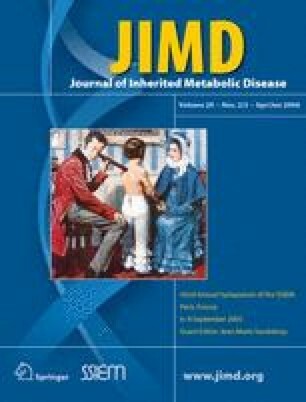 Human epidemiological studies and appropriately designed dietary interventions in animal models have provided considerable evidence to suggest that nutritional imbalance and metabolic disturbances, during critical time windows of developmental programming, may have a persistent effect on the health of the child and later in adulthood. Thus patients with monogenic inborn errors of metabolism may also suffer additional types of alterations due to the lack or excess of key nutrients. Interactions of nutrients with the epigenetic machinery lead to epigenetic changes associated with chromatin remodelling and regulation of gene expression that underlie the developmental programming of pathological consequences in adulthood. Today, with the explosion of new technologies, we can explore on a large scale the effects of nutrients on the level of expression of thousands of expressed genes (nutritional genomics and epigenomics), the corresponding protein products and their posttranslationally modified derivatives (proteomics), and the host of metabolites (metabolomics) generated from endogenous metabolic processes or exogenous dietary nutrients and can establish the relationship between these biological entities and diet, health or disease. The combination of these various lines of research on epigenetic programming processes should highlight new strategies for the prevention and treatment of inborn errors of metabolism.